Thank you for your very generous donation of £2,404.66. 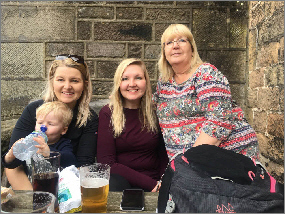 The generosity of supporters like you and the people who take part in your fantastic event for the Dave Owens and Frank Goodall Memorial Fund enables Cancer Research UK to lead the world in discovering newer, kinder treatments and get closer to cures. After fifteen previous walks we don’t encounter too many novel experiences. 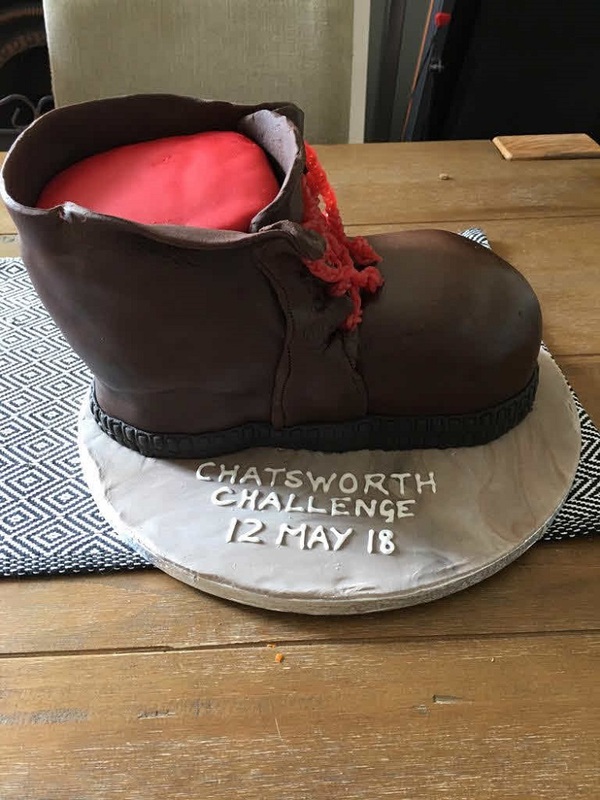 However, 2018 threw one up in the form of a man’s walking boot novelty cake (size sixteen at least). 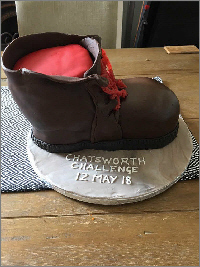 The cake was made from scratch by one of this year’s new walkers, Julie Dent, and the subsequent raffle raised an excellent £72-00 for the fund. Julie is a dab-hand at this type of cake-making and our Wednesday cycling club rides often benefit from Julie’s over-catering. Well done Julie. The raffle was won by Nicola Anderson who assures me that the cake went down a treat. 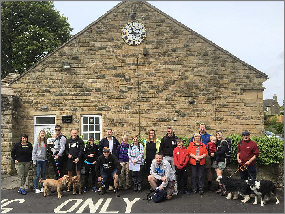 Saturday 12th May 2018, and our valued sponsored walkers took part in our twin 16th annual fundraising walk in and around Chatsworth House in the Derbyshire Peak District. 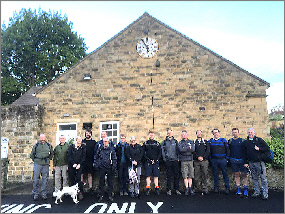 This years event raised another excellent amount of £8,015.55, which now takes the accumulated total for all our walks from our first walk in 2003 to £183,264.35. 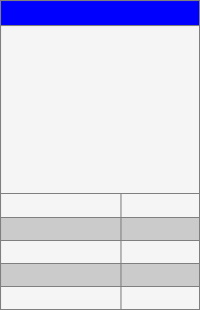 That’s an average of £11,454.00 per year! All fundraising, as always goes to the Dave Owens and Frank Goodall Memorial Fund, and as with every other year, every penny of the sponsorship money raised in our walks is donated to our four nominated cancer charities. As in previous years our trusty reporter, scribbler, columnist, correspondent, call him what you will, Gerard Mitchell takes to the keyboard again to give you a brief account of the day’s events. 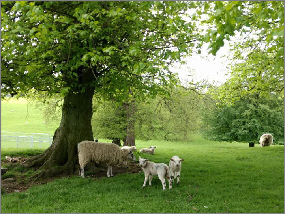 If anyone out there in fancies having a go at writing up the days events, and making an interesting column from a photo of a tree and some sheep please let us know. 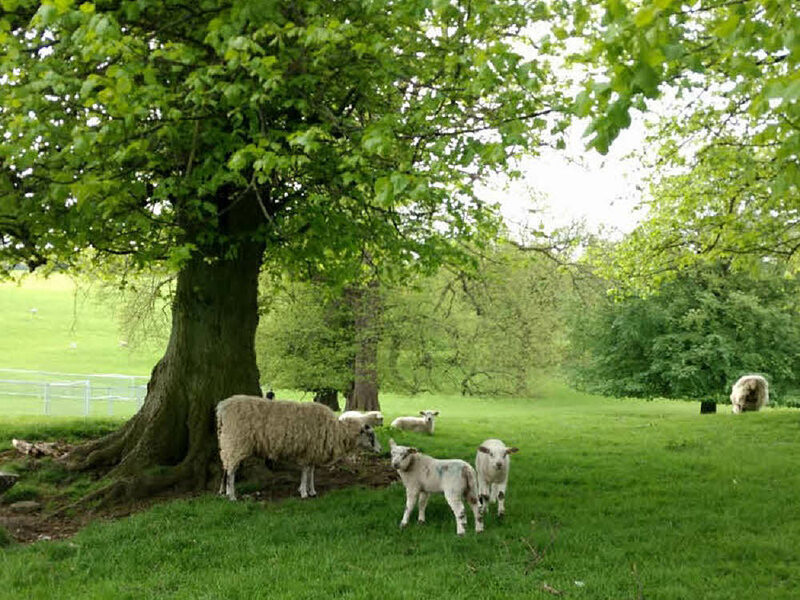 Gerard has done an admirable job of conveying the affairs of the day over many years, but we will be only too happy to hand the reins over to any budding reporter who will have absolute carte blanche to deliver a searing and epic roller-coaster of a column about more sheep and trees! The next Jeffrey Archer, or J. K. Rowling (we are a wholly gender equality organisation here at Chatsworth Challenge) may be out there, and waiting! After the slog up through Beeley Woods this group are enjoying a well-earned rest. With hands on hips and cap turned backwards it looks as though Darren’s earlier bust from the blocks may have taken its toll. Does anyone present know what form of calamity may have overtaken Andy? Julie has taken pride of place on the rock and looks to be catching up on her latest Agatha Christie. It’s good to see the Steele family all pitching in too. 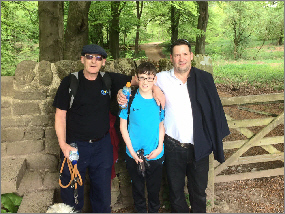 It’s good to see three generations, Nigel, Jake & Mick taking the time out for a walk in the countryside together. Nigel (our top 2018 fundraiser by some distance) has taken part in our walks on quite a few occasions while this is only Jake and Mick’s second outing. It’s good to see all three of you again. The Year of the Dogs... 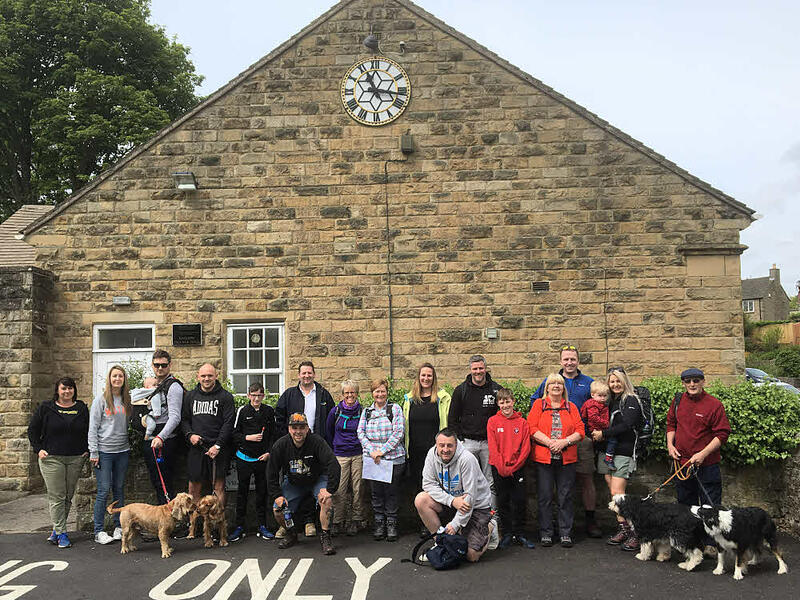 Seeing as there are a number of dogs on ‘show’ this year (and because I’ve got some spare space on the page), I thought it might be interesting to recognise ‘Mans Best Friends’ who accompany our walkers on the sponsored walks. 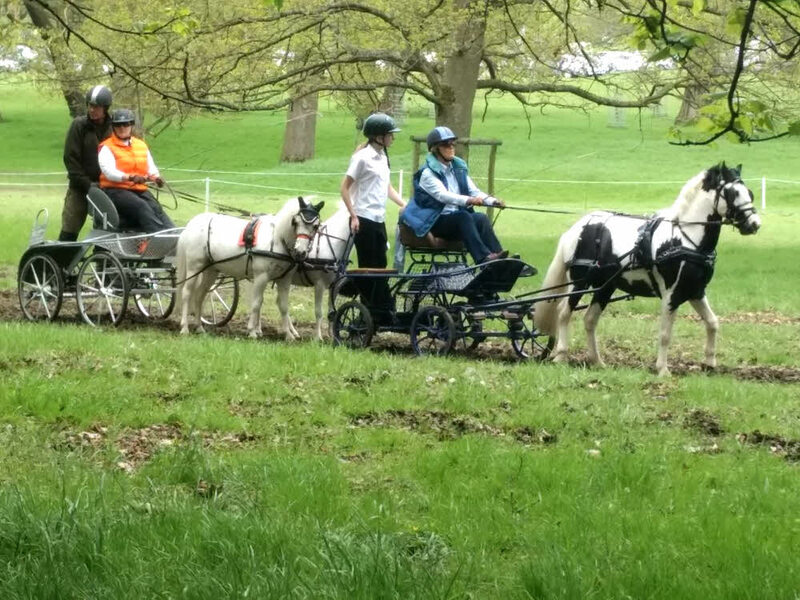 (or Women's Best Friends; remember, we are a wholly gender equality conscious lot here at Chatsworth Challenge!). dog biscuit manufacturer, who wanted to understand the need for higher standards for dog shows. The first Crufts dog event in 1886 was called the ‘First Great Terrier Show, and continued annually (except for a short break for the First World War) until Charles’ death in 1928. It continued a further four years under the stewardship of his widow, who, due to the demands of running the annual event, sold the show to The Kennel Club in 1942. The Kennel Club gradually broadened the categories for dogs competing in the show, and its increasing popularity demanded several changes of venue before reaching its current location at the NEC, Birmingham. The Kennel Club set criteria, and standards for competing dogs to determine the appearance and nature of the respective breeds. A champion ‘purebred’ cocker spaniel is therefore deemed to be a champion in its individual category if it looks more like a cocker spaniel than another cocker spaniel, or if a whippet looks more like a whippet than any other whippet in show, or if a schnauzer has more schnauzer about it than any other schnauzer! However Darren and Mark look as though they are bursting to get out of the starting blocks and make their time up. It’s good to see a blend of age and youth within the group as this always makes for a good day. Young Oscar Firmin has the same sulky look on his face he’s had all morning. 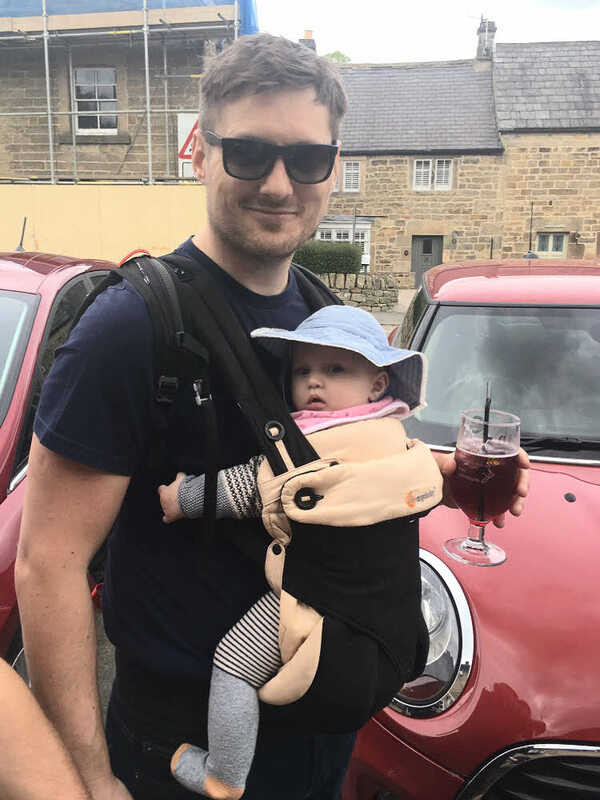 It appeared soon after he realised he wasn’t the youngest participant this year as Tilly Anderson, at six weeks, had taken over that role. There is also an excellent canine presence on show which also always makes for a good day’s walking. usual blend of faces old and new, and a quick count confirms that there is over 125 ‘caps’ in this year’s starting line-up. After completing the nine mile walk last year two year old Jess the Dog is now deemed old enough to make her debut in the twenty two mile stakes. (Jess actually probably covered fifty odd miles on the day). The weather forecast is set fair and it looks like good weather for taking on the twenty two mile challenge. 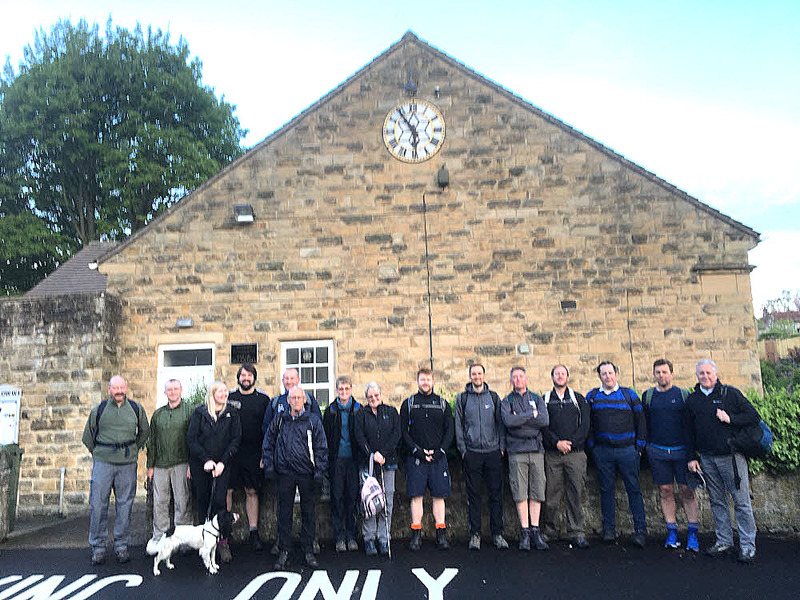 The time has now progressed to 11-16 so the nine mile walk is slightly late in setting off. It seems to be turning into the Darren Road Show but whatever he has in that bottle seems to be keeping him in high spirits. Speaking of high spirits, Andy seems to have shaken off whatever malady had befallen him in Beeley Woods. Behind Darren, Emma looks to be setting a decent pace across the moor, as will Vanessa and Sharon once they have safely negotiated the stile. 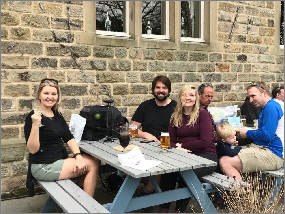 Back at The Devonshire Arms in Beeley we have two Mitchells and two Firmins taking refreshments. 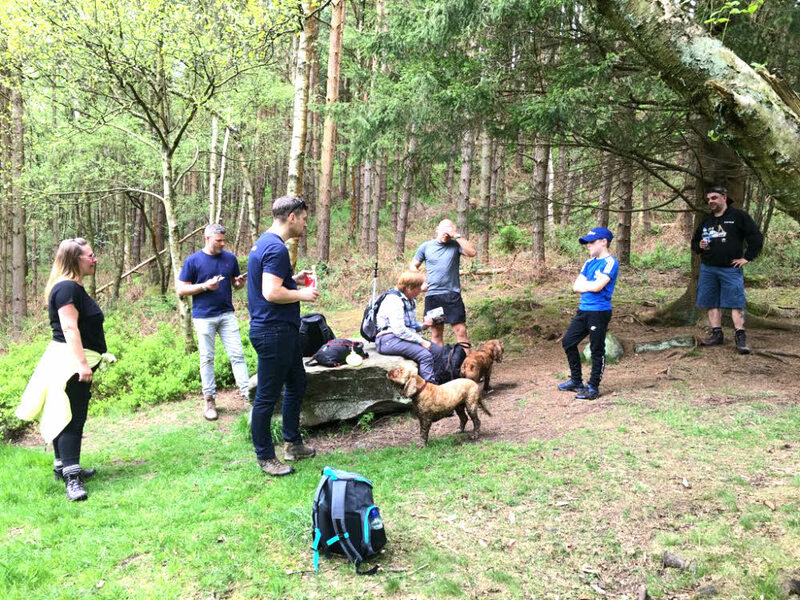 Oscar looks totally under-whelmed by the occasion but Janine, Clare and Stella know that the next section of the walk is the hardest; the hill up through Beeley Woods. 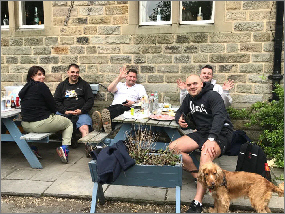 Back in Baslow and its all smiles from these familiar faces as they have now completed the walk and enjoyed a spot of lunch. It’s the first time we’ve mentioned Mark today but by the look of those ‘Jazz Hands’ his daughter isn’t the only member of the family who goes to dancing class each weekend. Get a grip Mark. 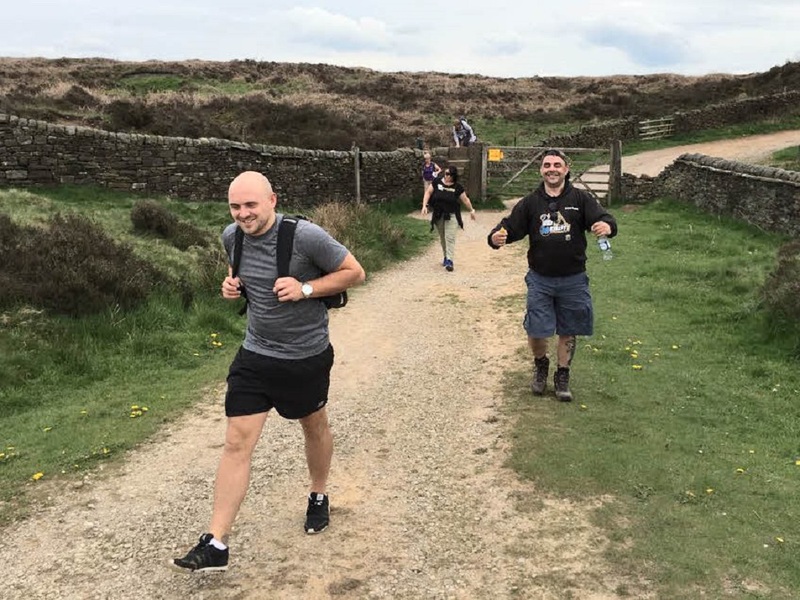 Our challenge walks are an annual event over 9 miles or 22 miles in the beautiful countryside around Chatsworth House in Derbyshire. It is open to anyone who wishes to join us. 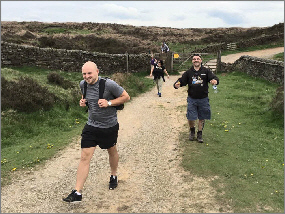 All we require is that you raise sponsorship for our charities, or alternatively pay a £5.00 entry fee if you don’t feel that you can raise sponsor money. Can you take the challenge? The owners can achieve excellence in their chosen category of course by selectively breeding the animals to achieve the desired characteristics. 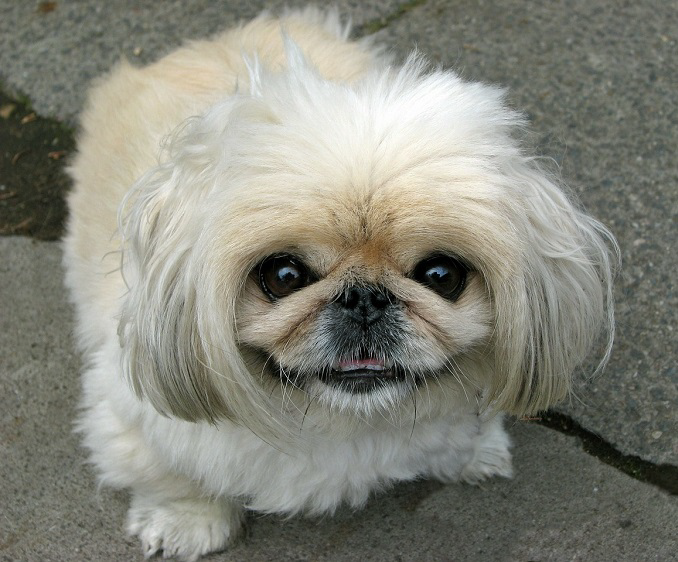 For example, two Pekingese with unusually cute little snouts, can be mated to produce a cute little offspring with an even cuter and shorter snout. By continually breeding the offspring with cute little short snouts the resulting animal can end up with the cutest shortest snout in show. its way from the victory parade! As well as walking away with a victory garland, and a big cup for their owner’s mantelpiece, the winning purebred dogs can also look forward to a life plagued by a frightening array of painful diseases, and numerous congenital health conditions. It is for these reasons that Crufts is often targeted by animal rights activists, and also why the BBC dropped the show from it’s programming schedule after the 2008 event. 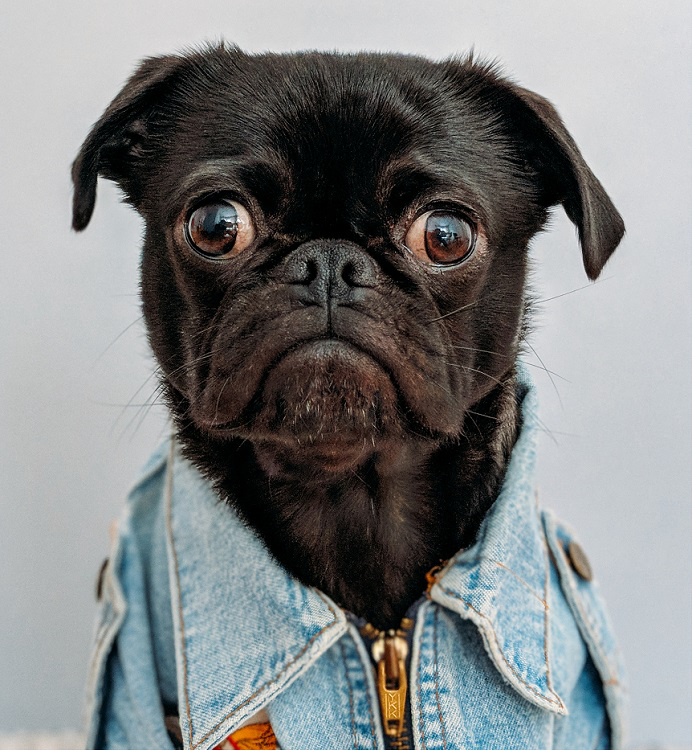 Perhaps Crufts ought to re-specify their categories for dog breeds so that the winner could be a bulldog who has a more chronic respiratory problem than another heavy breathing, wheezing bulldog, or a pug who has more dangerously bulging eyes than another protruding goggle-eyed pug, or a German shepherd with a more serious and chronic condition of hip dysplasia than any other lop-sided limping German shepherd.